I’m on a roll. This one only took me a couple of hours to put together. As I was putting this one together, I realised that I didn’t have a clear idea of the story I would tell about Leia at age 16. This is around the same era we see her in her brief appearance in Rebels, so all those other associated characters are still around and will no doubt interact with her, perhaps only indirectly, but she is a respected member of the nobility and a politician even at this age. Obviously it shouldn’t be an action adventure, but it might be about a teenage girl negotiating her way through a complex society. 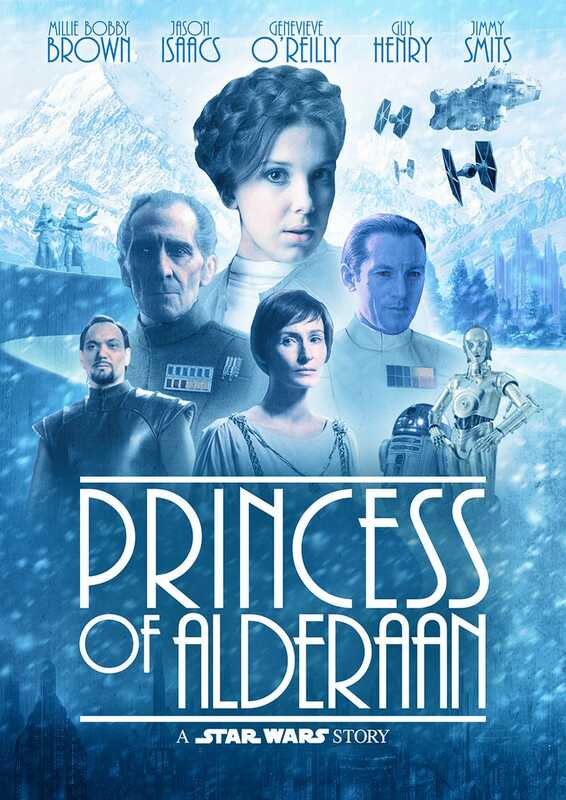 Maybe a mystery, where some kind of diplomatic crime has taken place, and Leia must help prove the young handsome accused’s innocence, taking a Jane Austen-type angle. Anyway, I am still amazed how perfect Millie Bobby Brown would be as Leia, and if they were to take advantage of that, there’s only a small window of opportunity for them before it crosses over into the OT era. Hurry up, Lucasfilm!